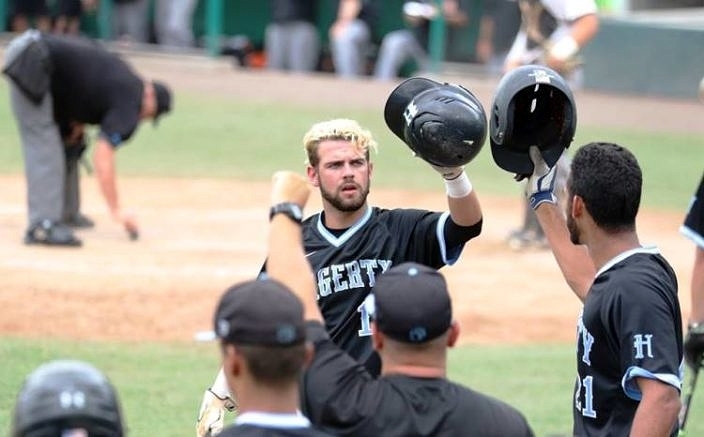 Last year, it took a hellacious comeback for the Hagerty baseball team to advance to the 8A championship game. This time around, the Huskies made sure that no comeback was necessary. 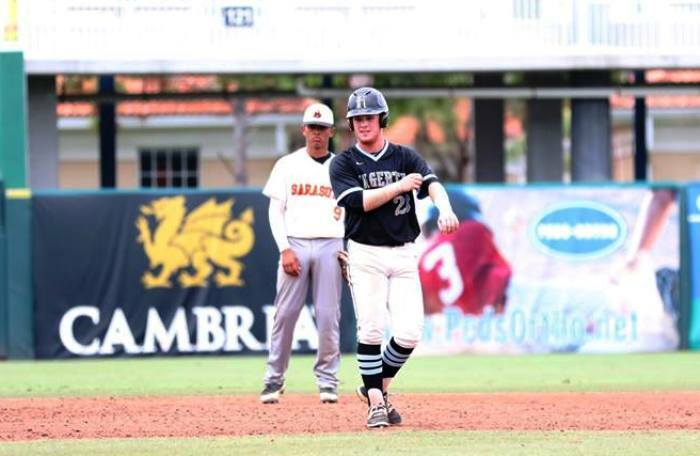 Jumping on the Sarasota starting pitching early, Hagerty piled up seven hits, hitting balls hard all game long en route to a 7-0 semifinal win. “These guys played a good baseball game today, and that’s what we talk about is to win the day,” Hagerty manager Matt Cleveland said. The Huskies wasted no time making their mark on Friday afternoon. Brian Ellis worked a walk leading off the bottom of the first against Sarasota starter Brooks Larson. Cameron Beams followed with a single, and Riley Greene tripled down the right-field line, scoring Ellis and Beams. A Britt Crawford groundout extended the opening frame lead to 3-0. Hagerty’s Bailey Wendel fields a pop fly. That was all the runs Huskies starter Bailey Wendel needed. Wendel went the distance, scattering four hits, while striking out five and walking one. While Wendel was cruising, Hagerty’s offense added to their lead in the third. Ellis again began the rally with a walk. After a strikeout, Greene walked. A Crawford flyout moved runners to second and third, and a Cameron Alba single plated Hagerty’s fourth and fifth runs of the game. In the fifth, the Huskies put the game out of reach. Vaughn Grissom joined the offensive attack with a one out single. Zach Grabbe then doubled to left, scoring Grissom. After Vince Phillips worked a walk, Steven Markowitz closed the scoring for the day with an RBI single. The hit capped a balanced attack from the Huskies offense. Cameron Alba was 1-for-4 with two RBIs for the Huskies. Although the team returns to the state finals, they will do so under the guidance of new Manager Cleveland, who took over for Jered Goodwin. So will the Huskies do anything differently this time around to try and capture their first-ever state title. For Sarasota, their quest to capture the schools ninth state title fell short. However, the loss did not diminish what was a successful 2017 campaign in which they went 22-9. Hagerty will face Lincoln from Tallahassee in the 8A title game Saturday afternoon. Lincoln defeated Nova 4-1 earlier Friday. Hagerty manager Matt Cleveland talks about rhe Huskies' 7-0 win to return to the 8A title game. 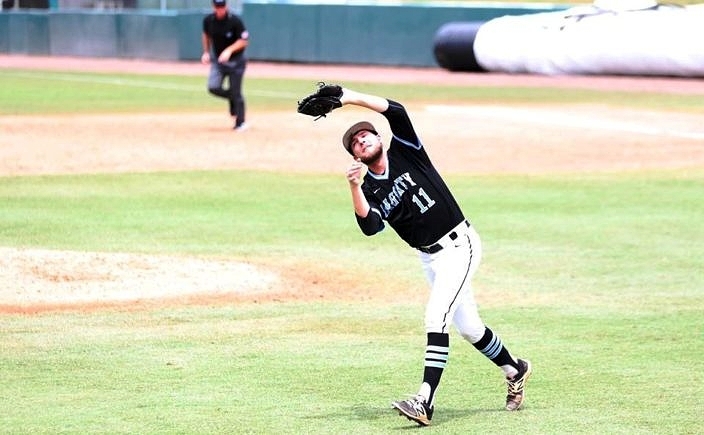 Hagerty's Brian Ellis discusses his role at the top of the batting order.